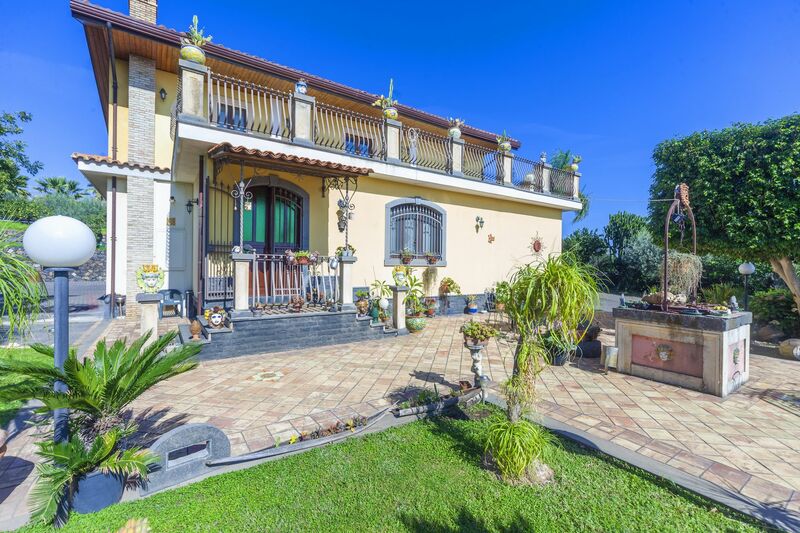 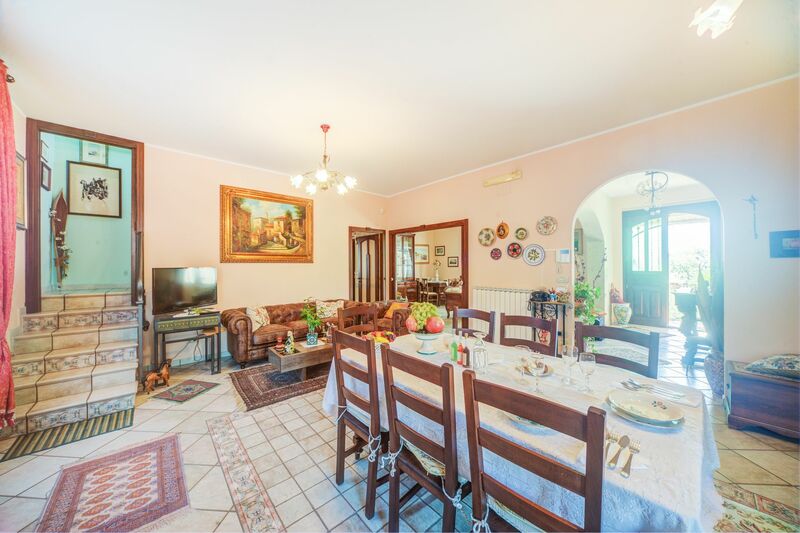 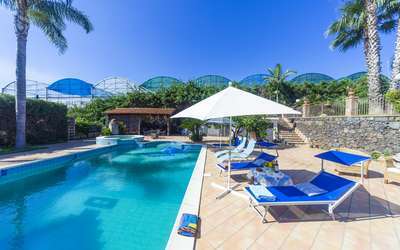 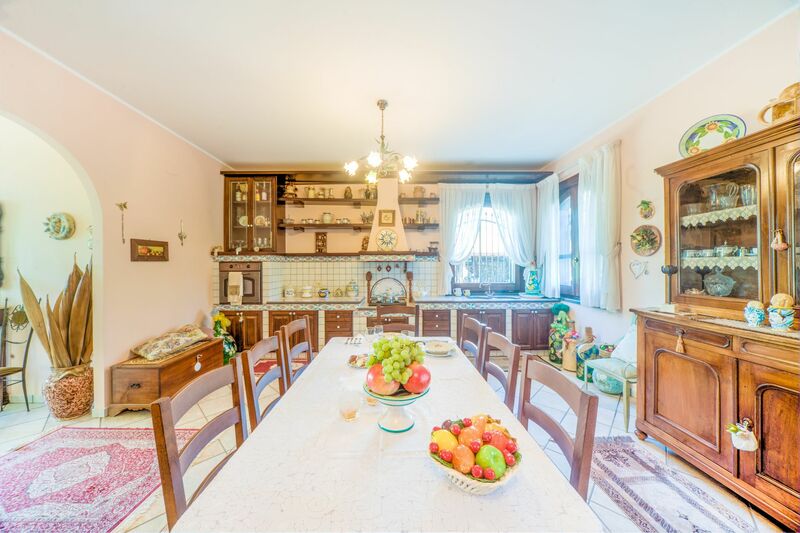 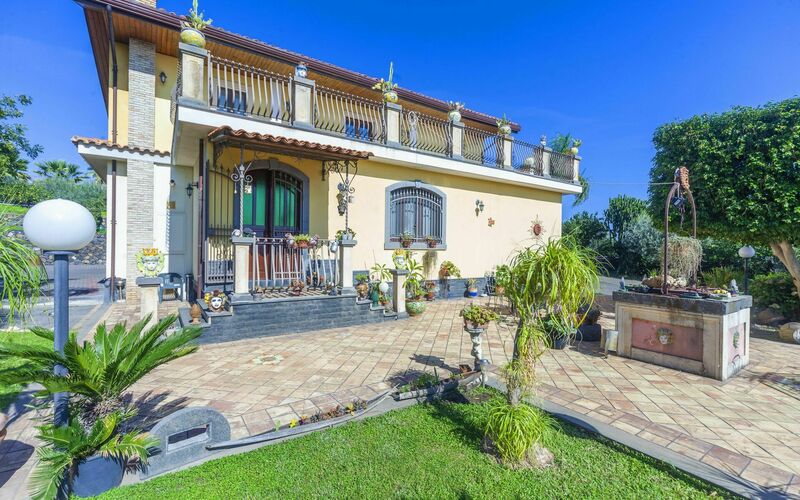 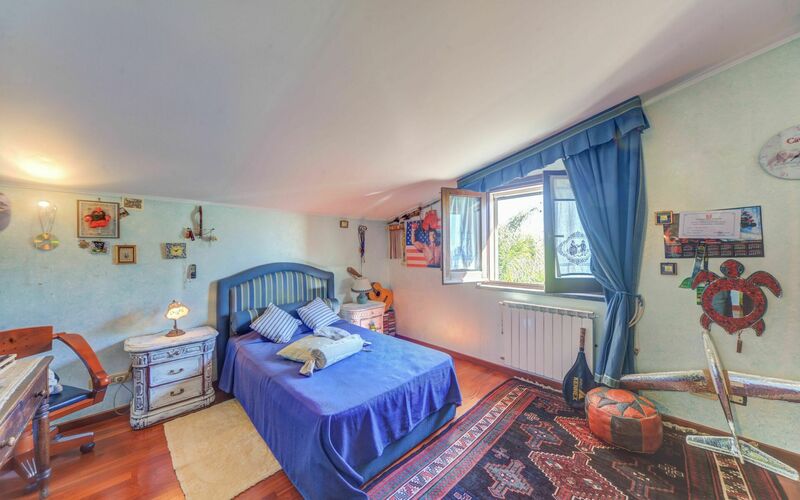 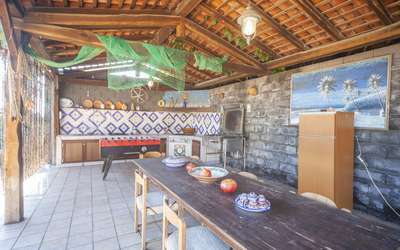 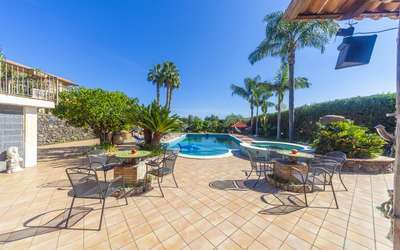 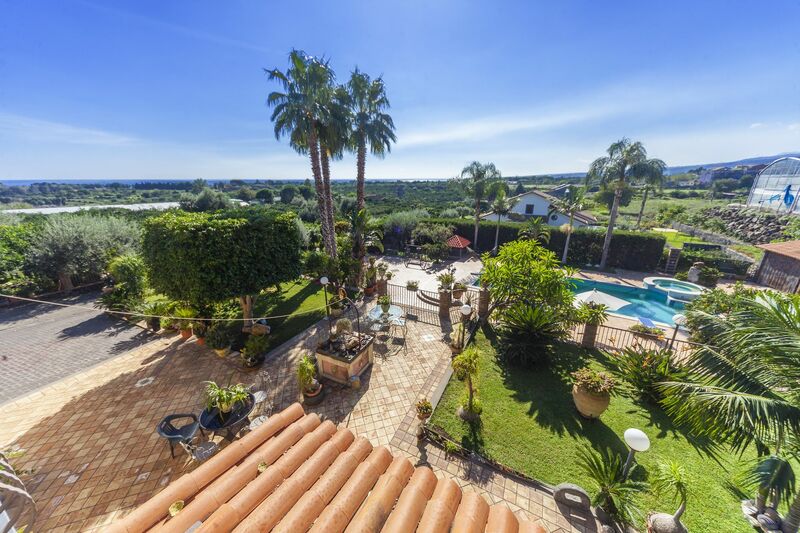 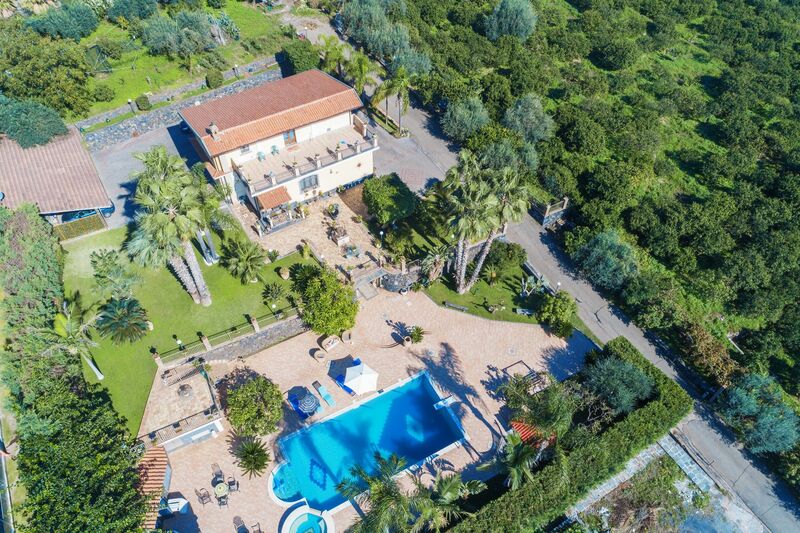 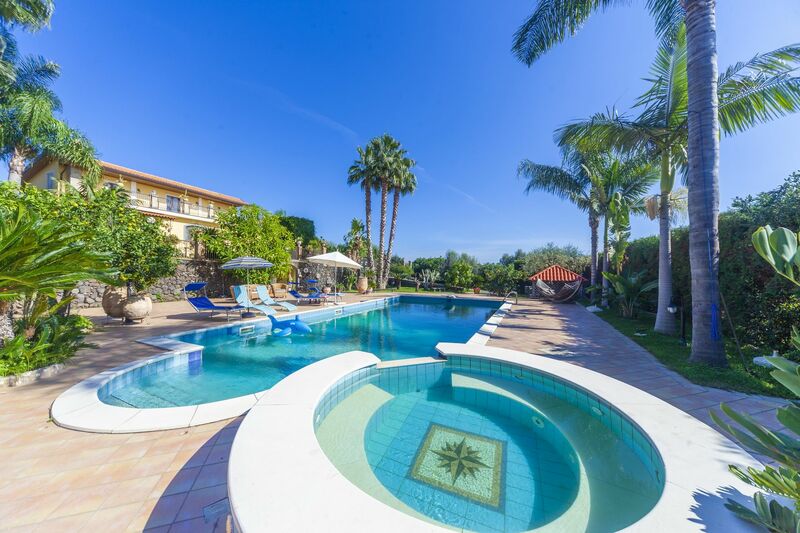 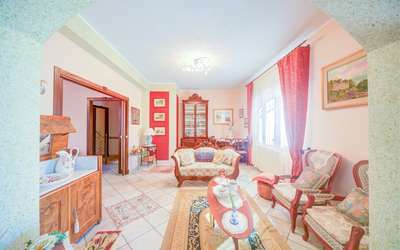 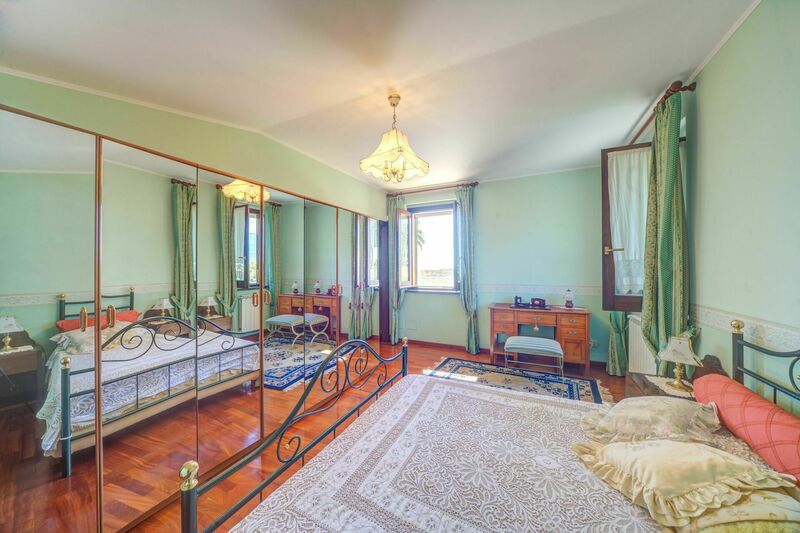 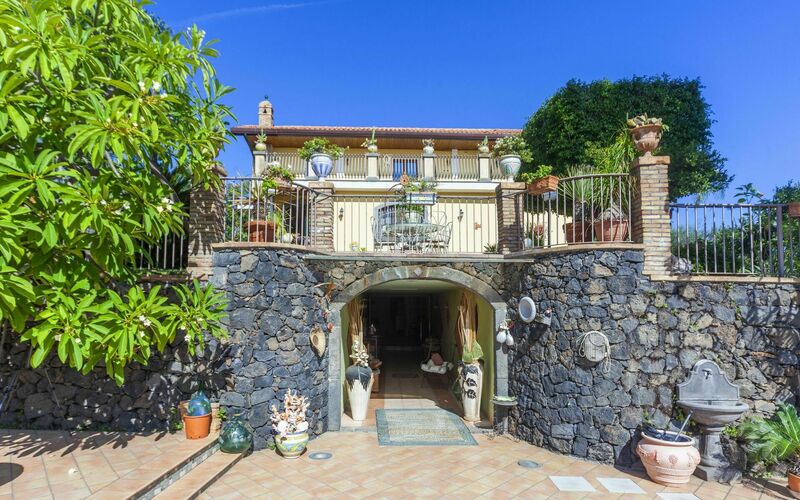 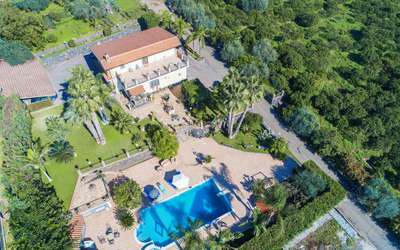 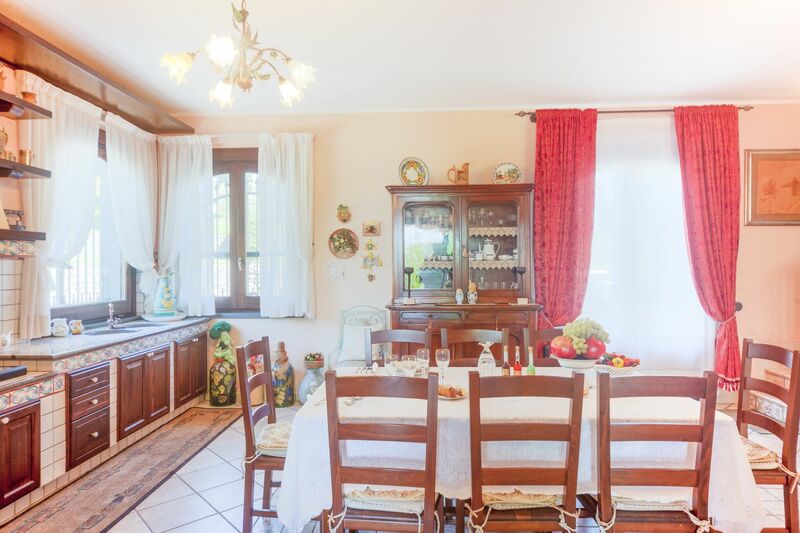 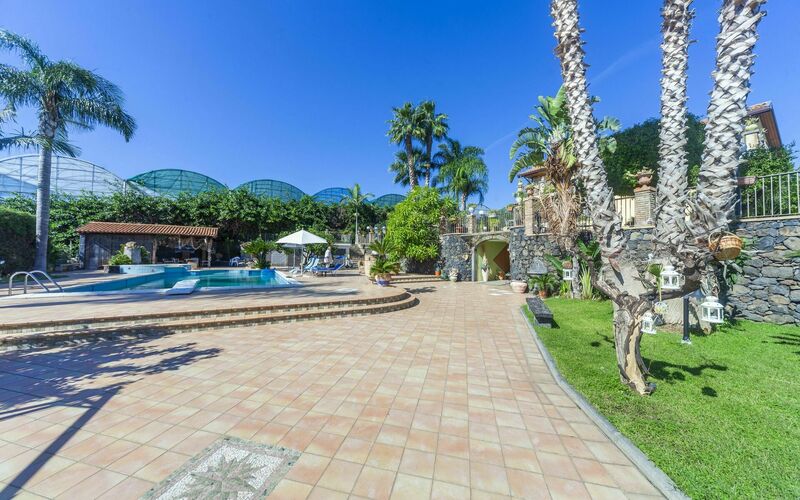 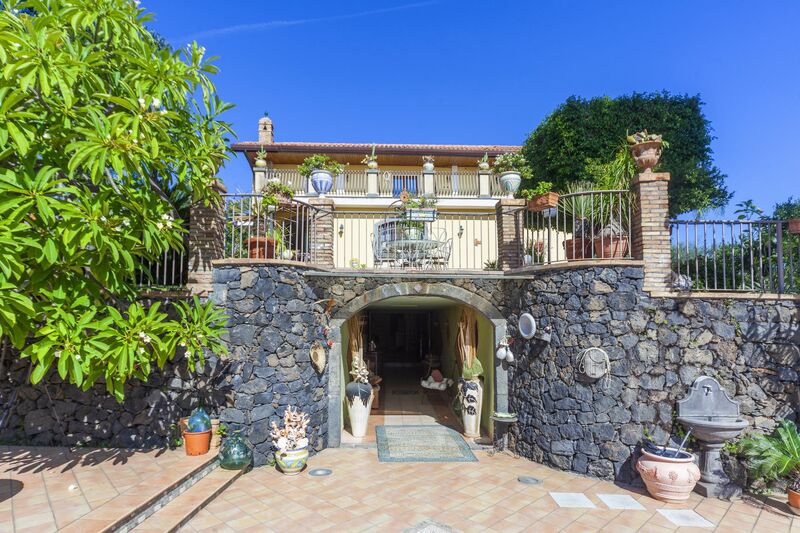 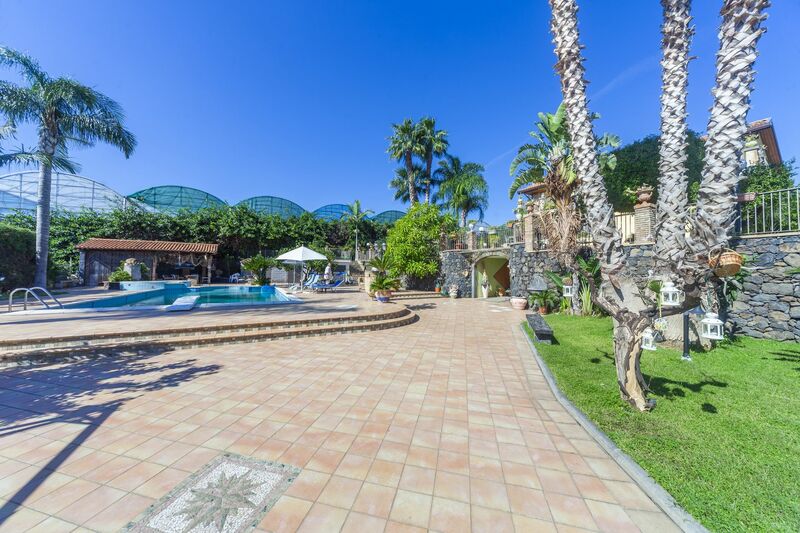 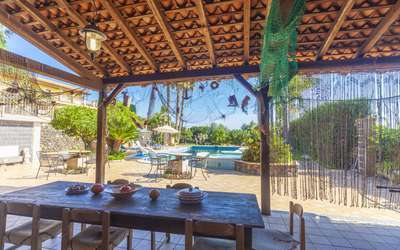 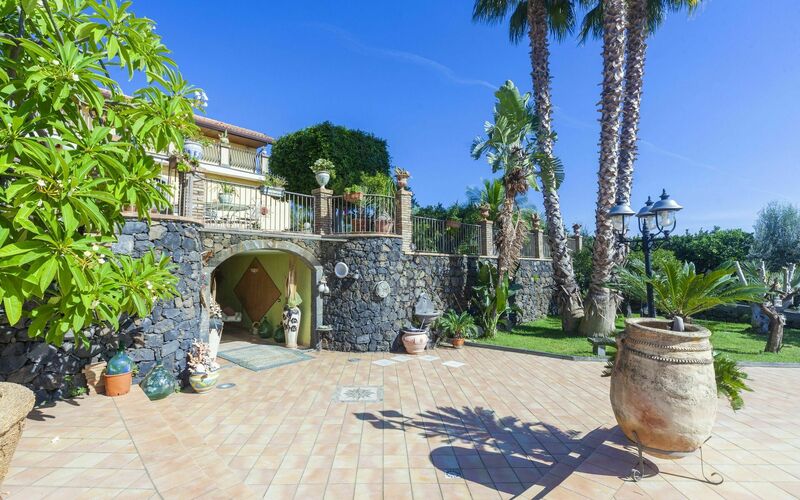 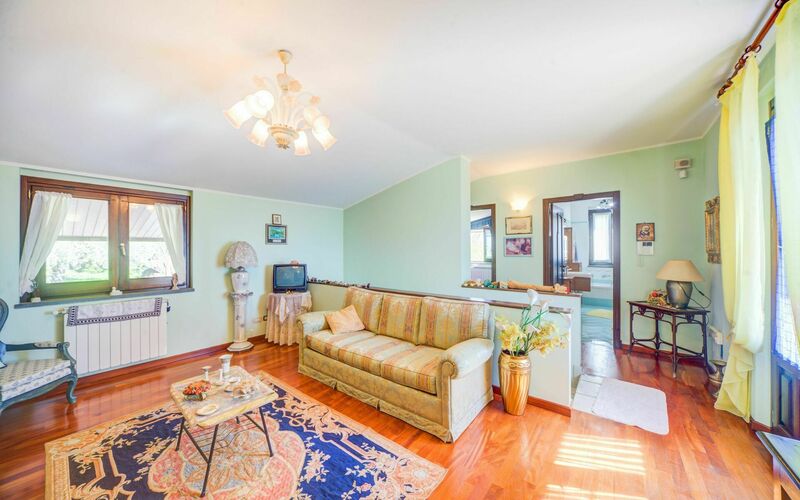 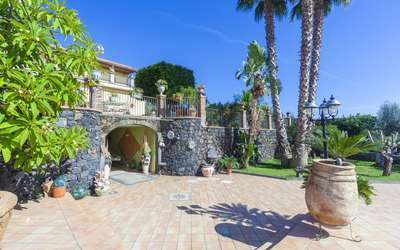 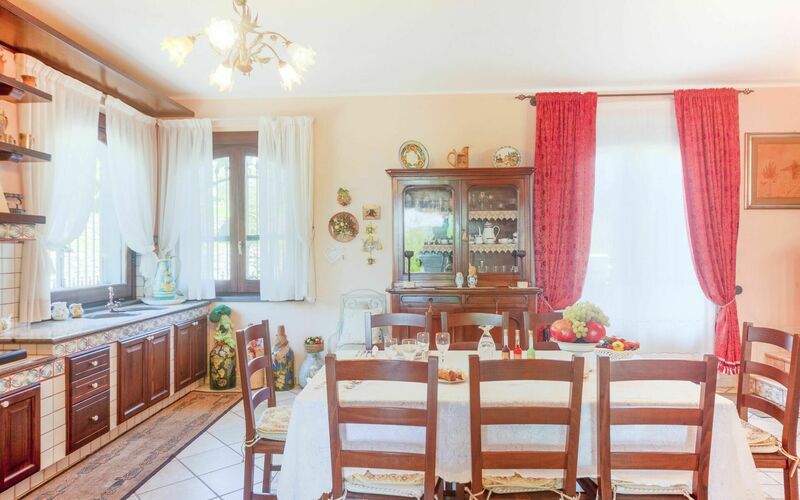 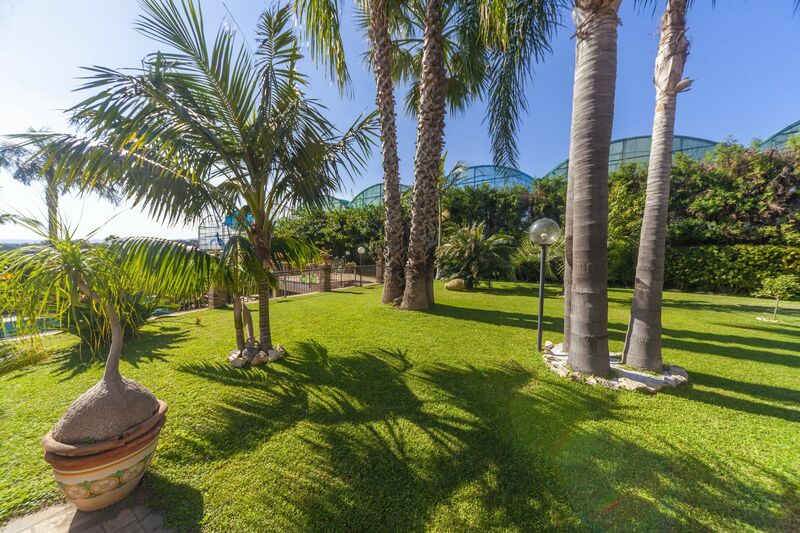 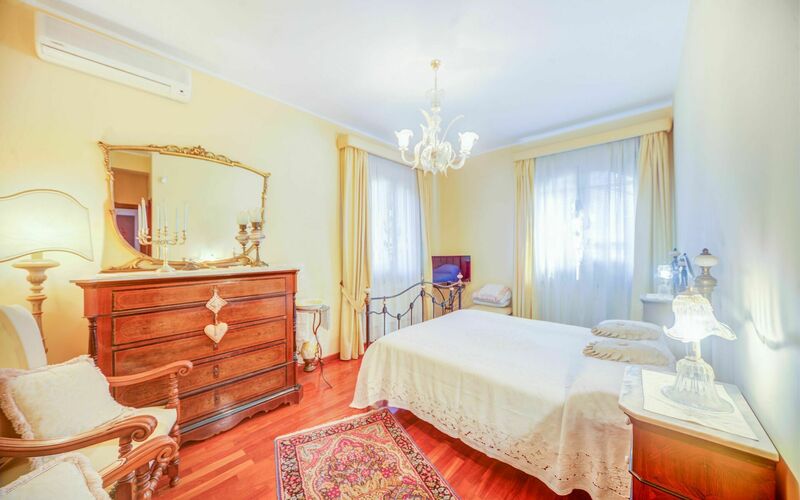 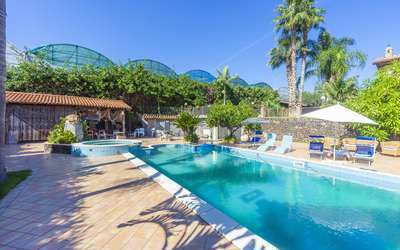 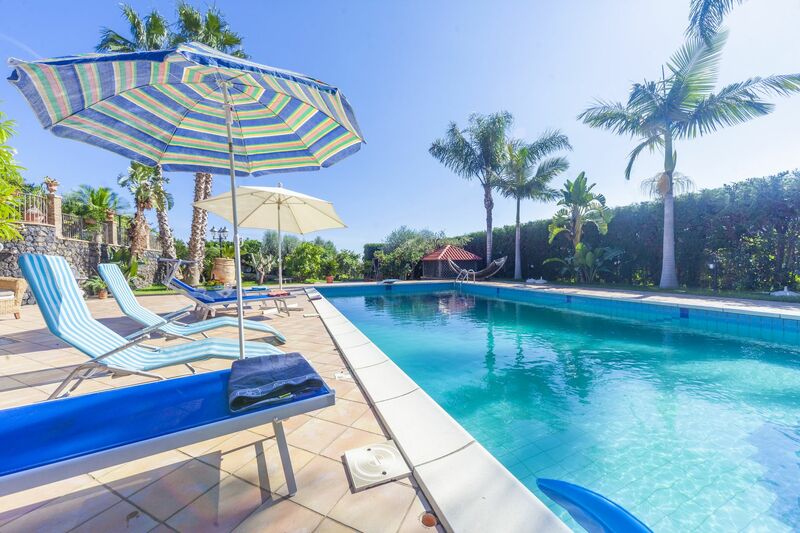 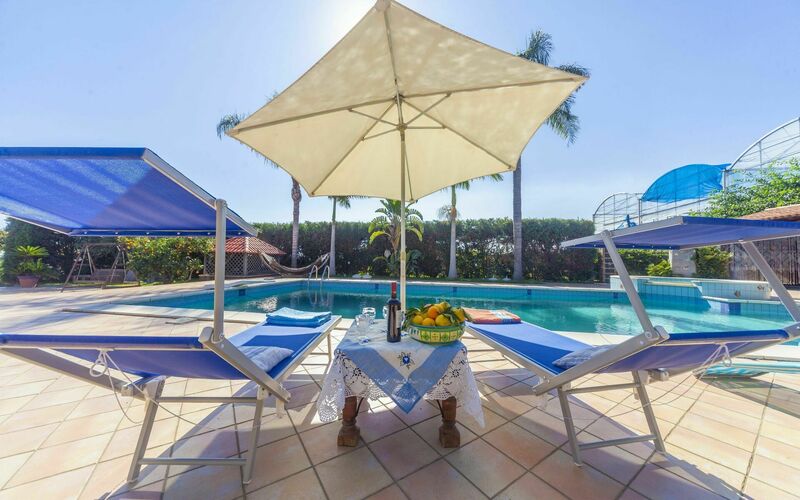 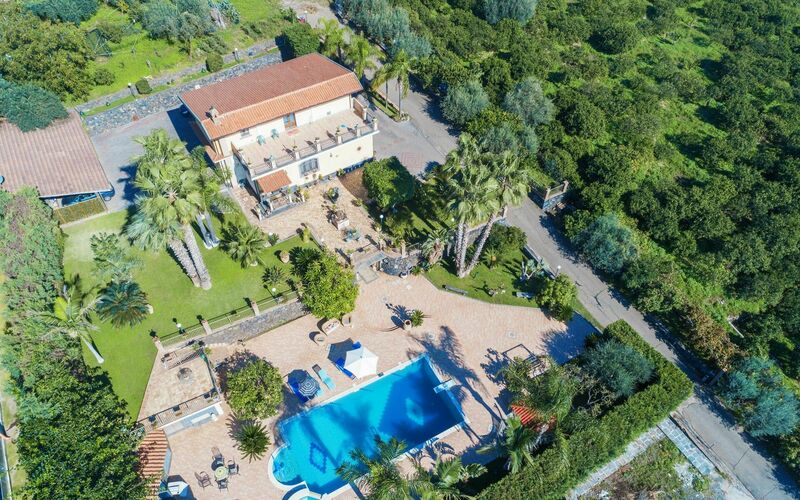 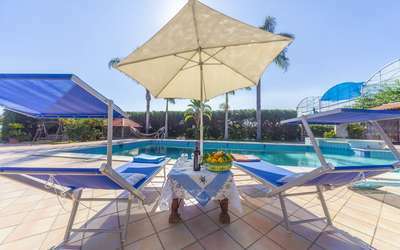 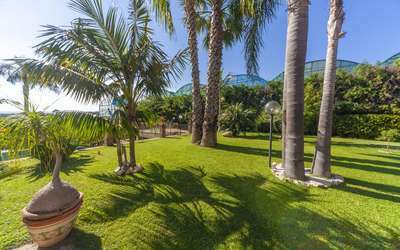 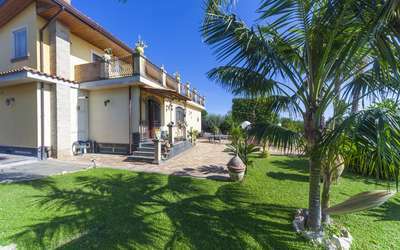 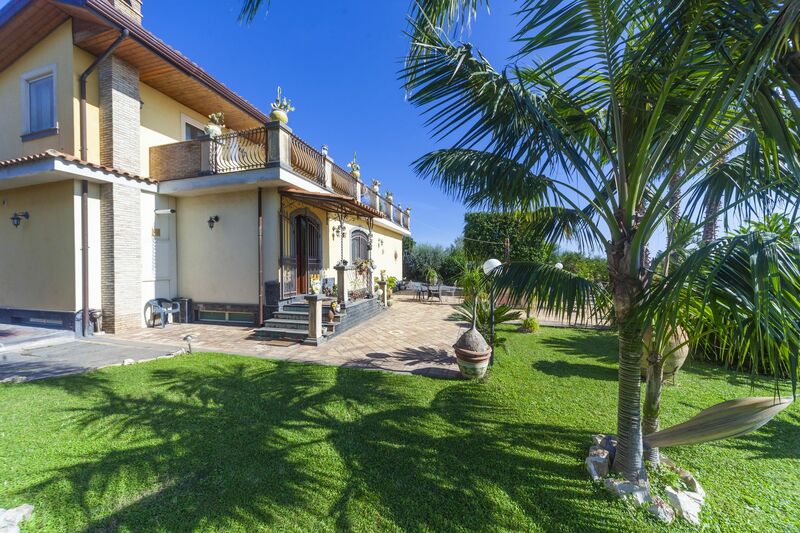 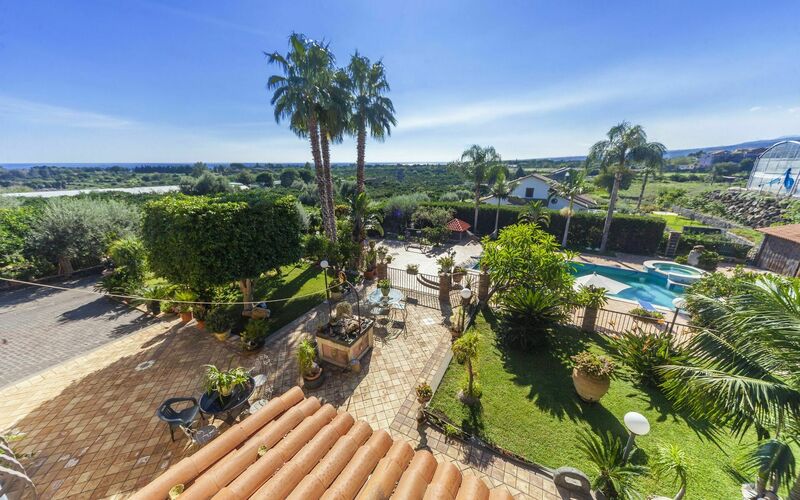 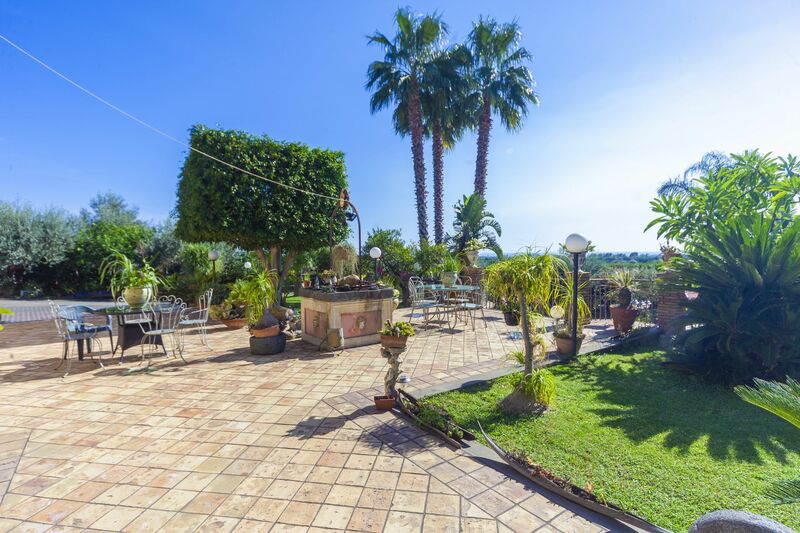 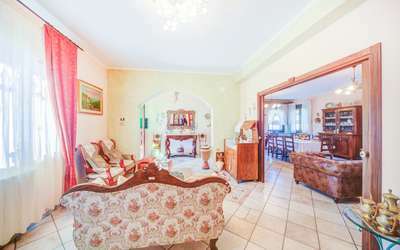 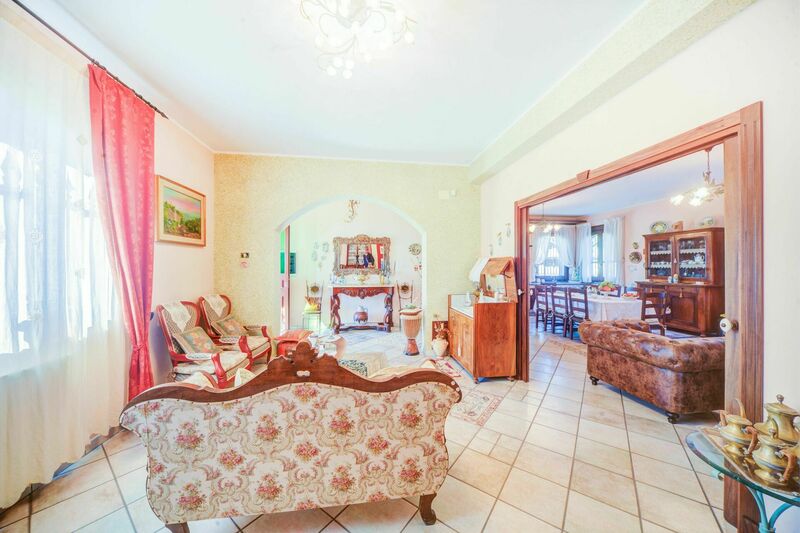 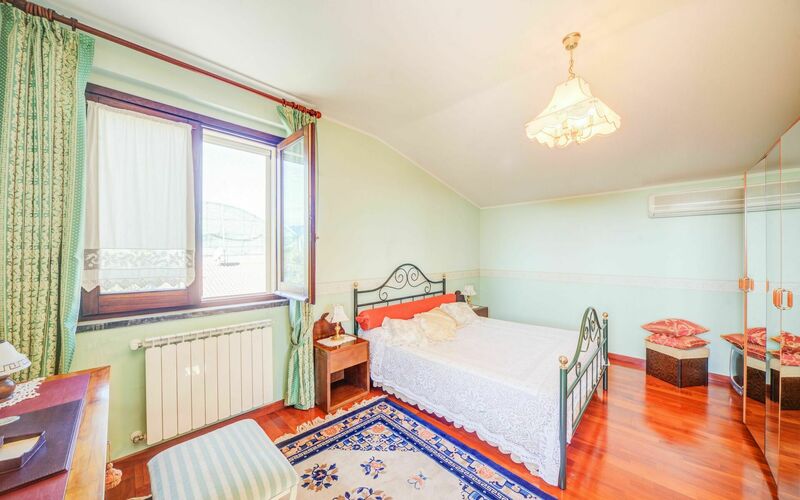 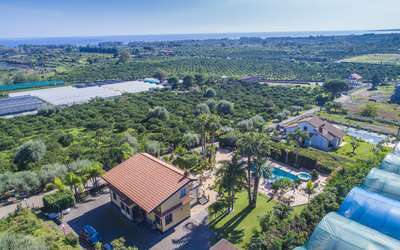 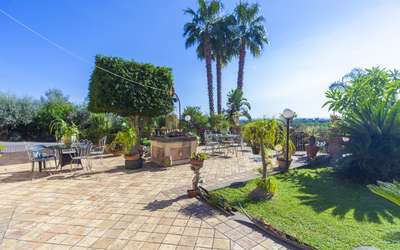 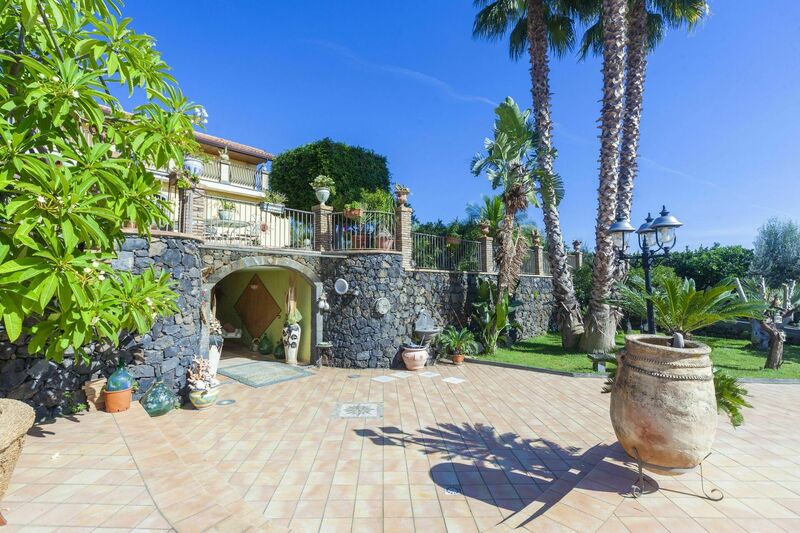 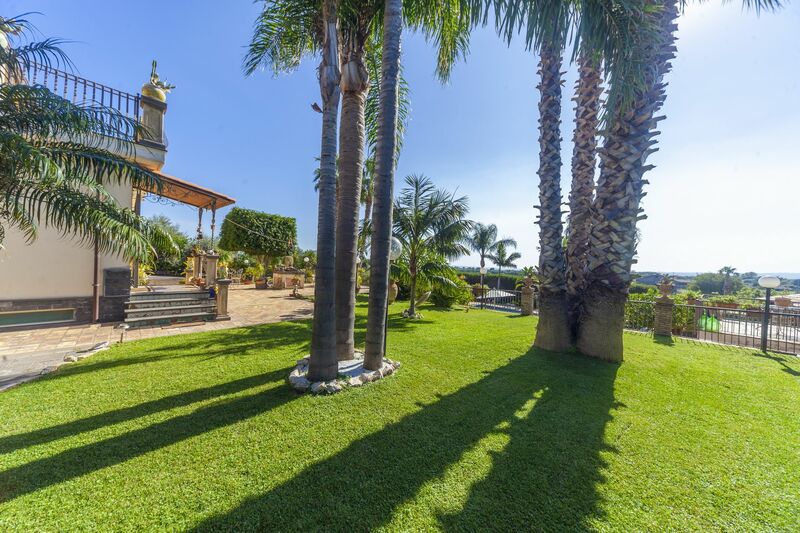 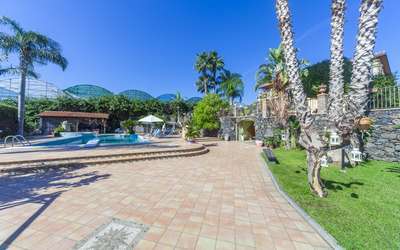 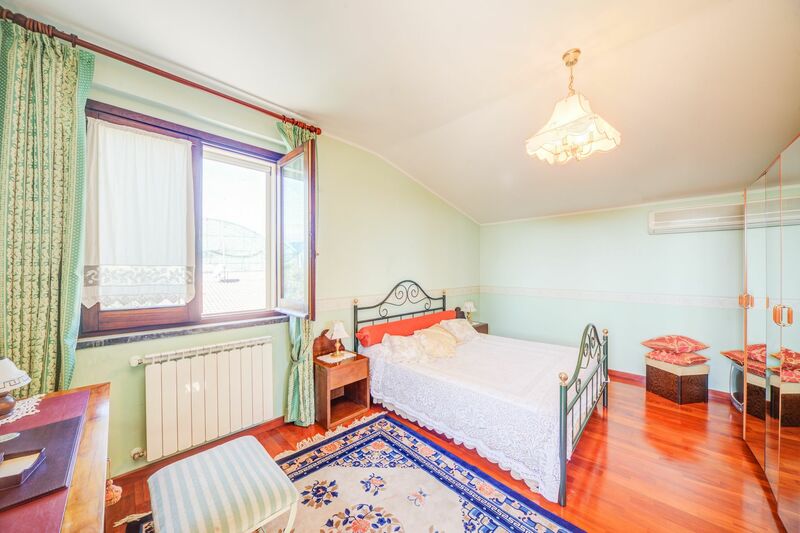 This elegant villa is located nearby the famous beach of Marina di Cottone, situated in quietness among a beautiful garden (approximately 4500 sqm) with tropical and rare plants, where you can spend pleasant moments enjoying swimming in the pool, having sun or making barbecue at the summer kitchen! And you are situated just at the bottom of the Etna so this combination isn’t bad at all! 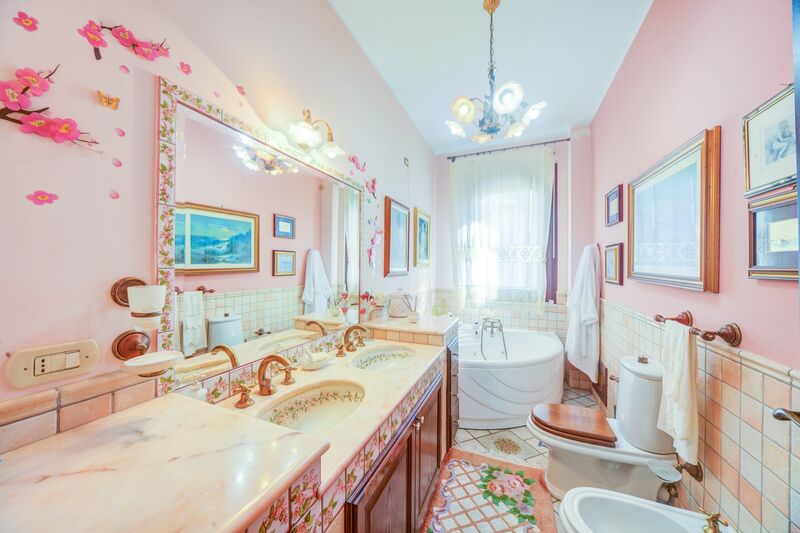 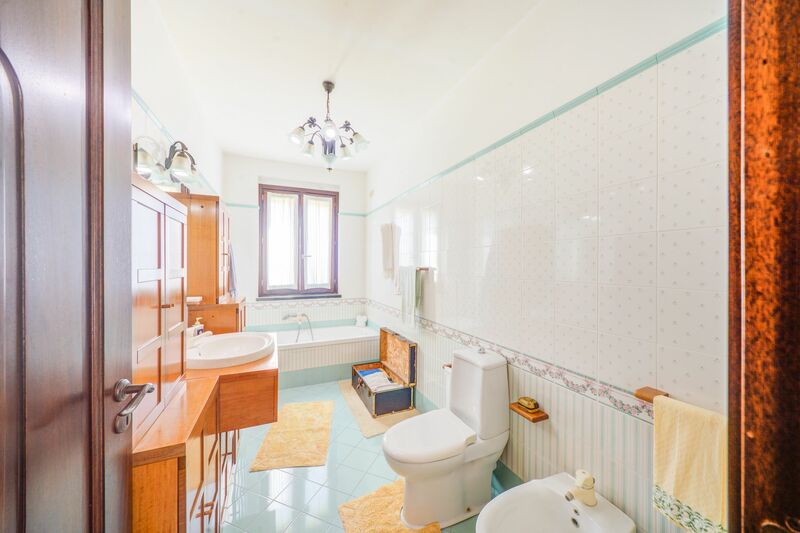 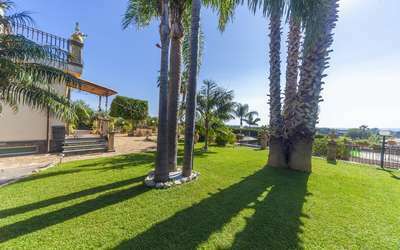 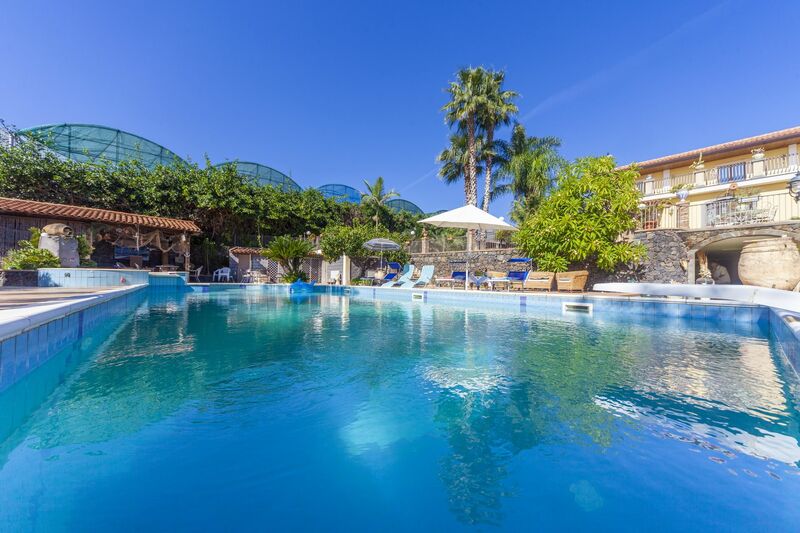 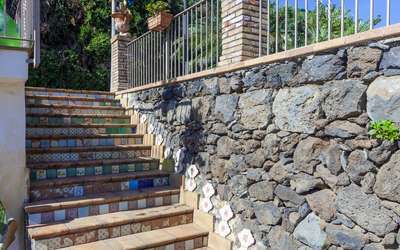 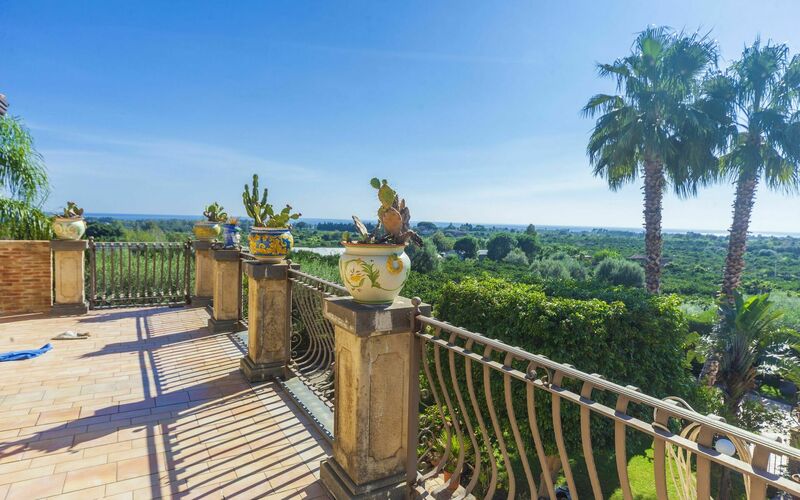 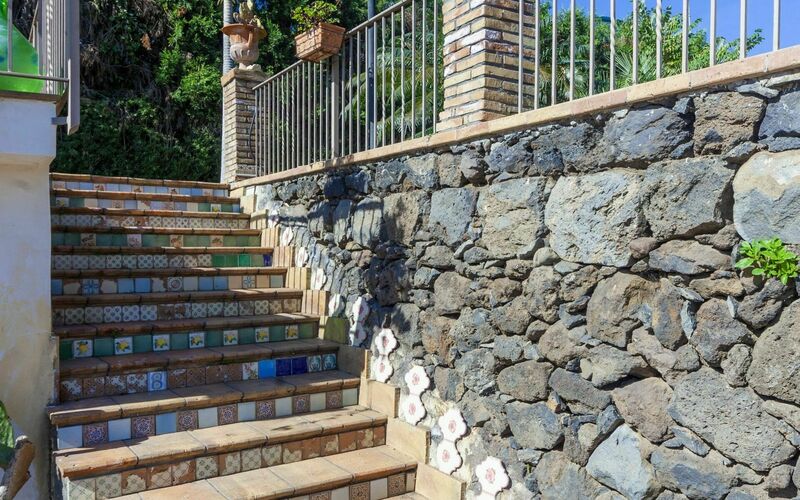 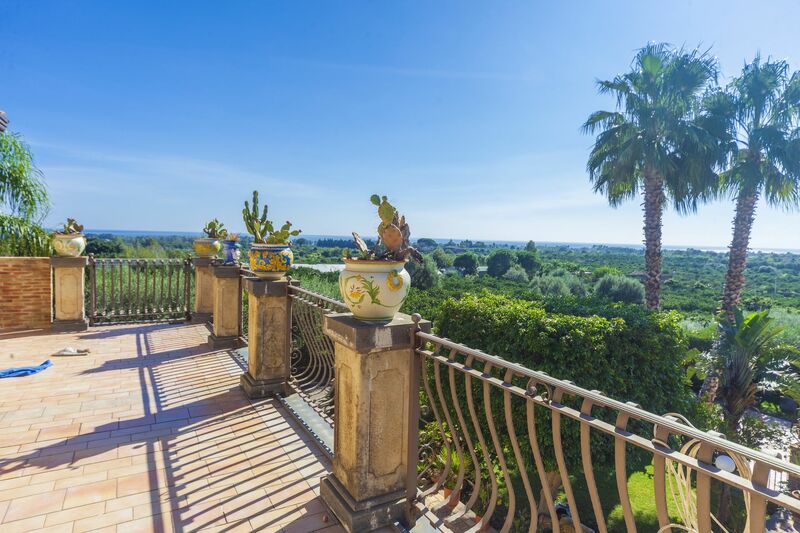 The owners take care of each detail in the property (for example the stairs that take from the pool to the main entrance of the house are decorated with antique pieces of ceramics). 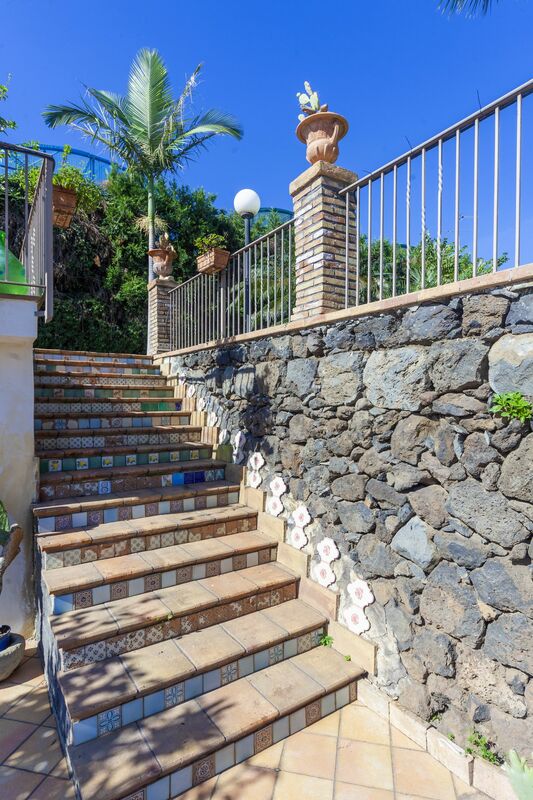 You can admire the famous ceramics outside and inside the house. 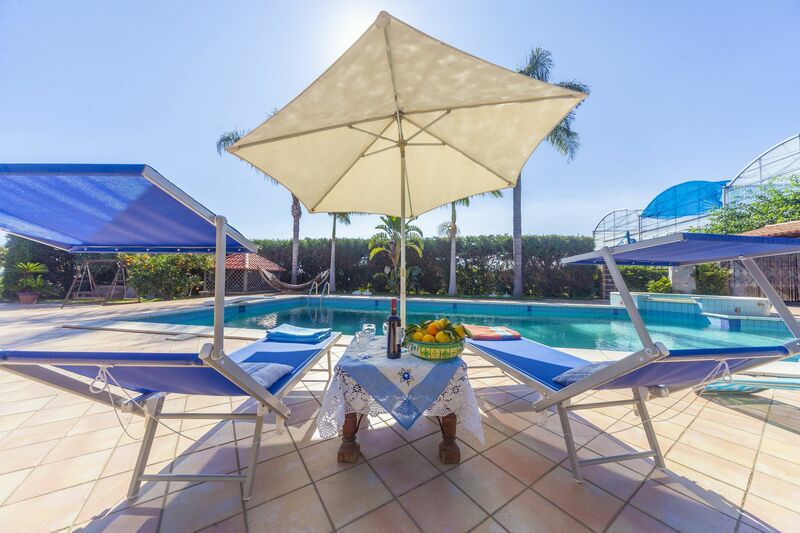 There are a lot of tables, chairs and beach chairs for huge groups of people. 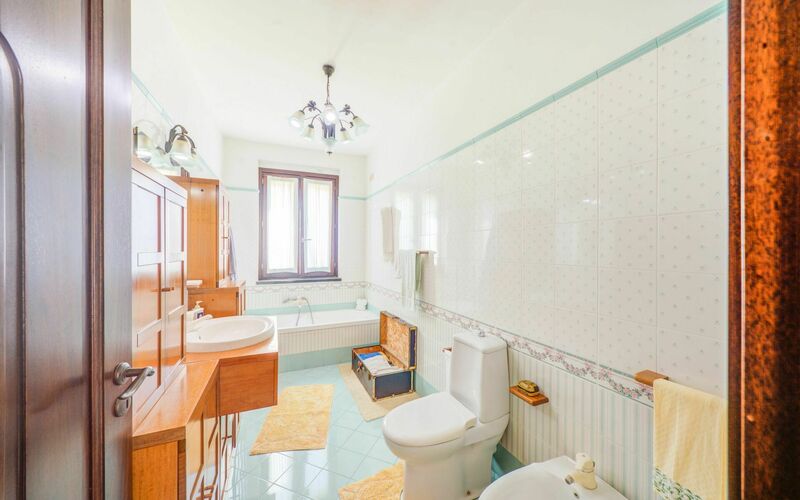 There is an outside bathroom and a shower too. 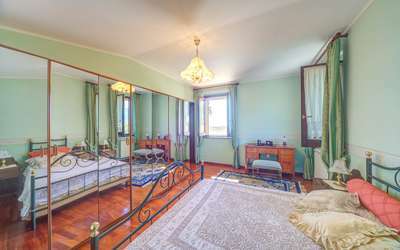 Bedrooms (4) and Bathrooms (4): a double bedroom on the ground floor; a double bedroom on the first floor; a double with a single bed on the first floor; a bathroom with a tub on the ground floor; a bathroom with shower and a tub on the first floor; Basement: a double bedroom with a single bed; a bathroom with shower; a bathroom outside a pool.